***Sorry, we cannot adopt outside the Southern California area*** This is Alexander. 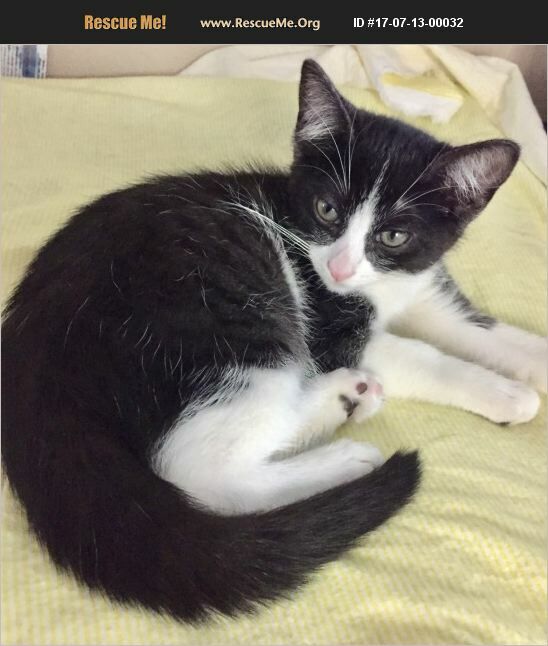 Alexander is a handsome American Shorthair tuxedo kitten. He was born 5/1/17. Alexander is very sweet, friendly and playful kitten. He loves people and to be petted. He gets along well with other adult cats. He is always purring up. He is looking for a loving forever home.